We stock high, medium and low voltage products for the distribution, protection, control and management of power in electrical systems. Within our circuit breakers range, you can find residential MCBs, RCBOs and RCCBs as well thermal automotive and magnetic circuit breakers. What are circuit breakers and their uses? First developed in the 1920's, a circuit breakers function is to provide protection for a circuit from excess current in a similar way to a fuse, but it is a switch device that can be reset if it is tripped. They can be used in anything from small electronic devices to household breaker boxes or electrical substations. 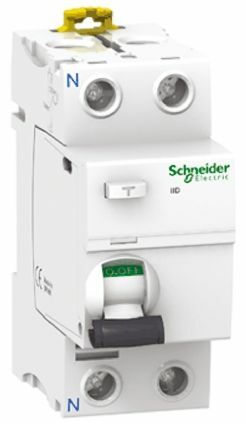 Their main advantages are that they're reusable and can react quickly in the event of a fault, making them ideal for applications such as the fault protection switches found in many houses. How does a circuit breaker work? There are many types of circuit breakers and they all work in a slightly different way. Essentially, when excess current is detected, theyre designed to trip a mechanism to break the circuit. Magnetic circuit breakers – use solenoid components to separate the contacts. These are complex circuit breakers that sometimes use fluid and hydraulic mechanisms to gain more control over the solenoid action. Thermal magnetic circuit breakers – react almost instantly to different types of overcurrent conditions using electromagnet and bimetallic strips. 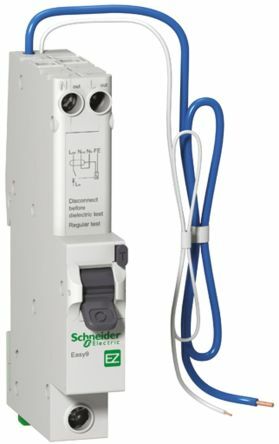 Residual current circuit breakers (RCCBs) – are used to protect against residual currently only and help to prevent injury from electric shocks. They are classified into types named by letter, types AC, A, B and S are most commonly used. 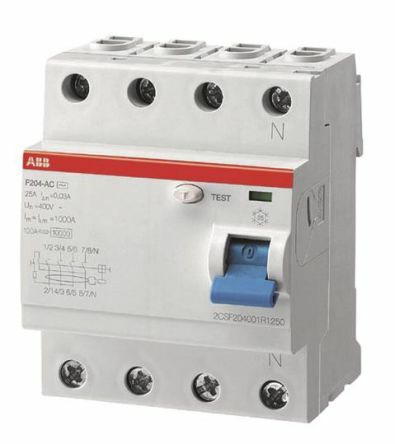 Miniature circuit breakers (MCBs) – provide protection from overcurrent and short-circuit only. They are also classified into types, with types B, C and D being the most common. Residual circuit breaker with overload (RCBOs) – these devices are able to protect from short circuit, overload current and residual current as they combine all the functions of an MCB and an RCCB circuit breaker. What is the difference between fuses and circuit breakers? Fuses are simple devices that no longer work once they are used however, a circuit breaker can be reset and reused many times, within the limitations specified by the manufacturer. The RCCBs F200 series assures protection to people and installations against fault current to earth. A large offer for standard instantaneous and selective AC and A types is completed with some configurations for special applications.